Open the cans of kidney beans and tomato paste. 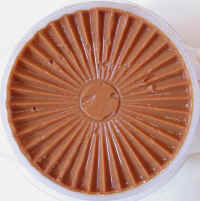 Pour off the liquid from the beans, and place the beans in the container of a high speed blender. Add the tomato paste. Peel the onion and garlic; cut the onion into chunks, and add the onion and garlic to the blender container. Add the other ingredients to the blender container (chipotle peppers may vary in spiciness, so we suggest that it is best to start with 1/2 and taste the dip before adding the other half). Put the cover on the blender container, and run the blender at high speed until all the ingredients are smooth. 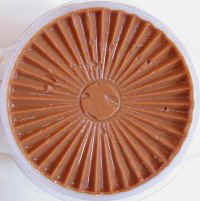 If the dip is thicker than desired, add a little cold water and remix until the dip is at the desired consistency.